Blane Judd is Executive Director of BLTK Consulting, which supports global businesses with strategic engagement and development. For the last two years he has led the campaign to raise the profile of engineering technicians in the UK as Chief Executive of EngTechNow on behalf of the IET, IMechE and ICE. Prior to this he advised on strategic engagement for organisations including City and Guilds and the Norway Institute of Technology. He led the rebranding and repositioning of one of the largest UK Trade Associations, BESA, as its Group Chief Executive. As Chief Executive and Secretary of the Institute of Plumbing and Heating Engineering, Blane successfully petitioned for a Royal Charter (one of less than 1000 granted since 1231) leading its rebranding to the Chartered Institute of Plumbing and Heating Engineering (CIPHE). He has 40 years experience in the engineering sector, starting his career as an apprentice with the Central Electricity Generating Board, the former UK nationalise power industry. During his 25 years in the power sector Blane was part of the team that commissioned the 2000MW dc link between England and France and developed live line working at 400kV for National Grid. He was a member of the Occupational Standards Council for Engineering that devised the Engineering Competence Standards philosophy on which the UK competence programme is based today. He has presented internationally to power engineering businesses on privatisation and also on competency development. He provided consultancy to the Malaysian Ministry of Energy on a development strategy for power station operatives, saving $20 Million per annum in lost generation costs. Blane was awarded a Fellowship of City and Guilds in 2010 for his services to International work on engineering skills and competence. Between 2008 and 2011 he served as an Executive Board member of the World Plumbing Council (an NGO recognised by the World Health Organization) and remains a member to this day. During this time, was recognised as an Honorary Fellows of the Indian Plumbing Association for his services to global plumbing and public health. In 2012 he published a paper on low voltage dc systems and was instrumental in establishing the recently published IET lvdc code of practice on the subject. This work was a catalyst for the establishment of SEG4 by the International Electrotechnical Committee. Blane is the chair of the IET built environment sector group and chairs the IET lvdc technical committee and the Energy Management code of practice working group. 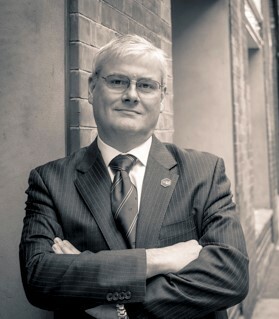 He is a Chartered Engineer; a Fellow of the Institution of Engineering and Technology; Chartered Institution of Building Services Engineers; Chartered Institute of Plumbing and Heating Engineering; Royal Society of Arts; Royal Institution, Institute of Leadership and Management and a member of the Institute of Directors. He is a Freeman of the City of London and a Liveryman of the Worshipful Company of Plumbers. He has an Honours degree in Integrated Engineering from Nottingham Trent University.